What to put in a bullet journal? Add calendars, lists, charts, dreams, goals, your personal life, your studies, and even your business plans. What i love about a bullet journal is that you can manage your entire life in one book! You can create pages for just about anything you want to log, track, note, or plan. You can make a simple chart, list, or tracker or you can get creative and decorate your page. Check out our mood tracker ideas to get you inspired. There is is. 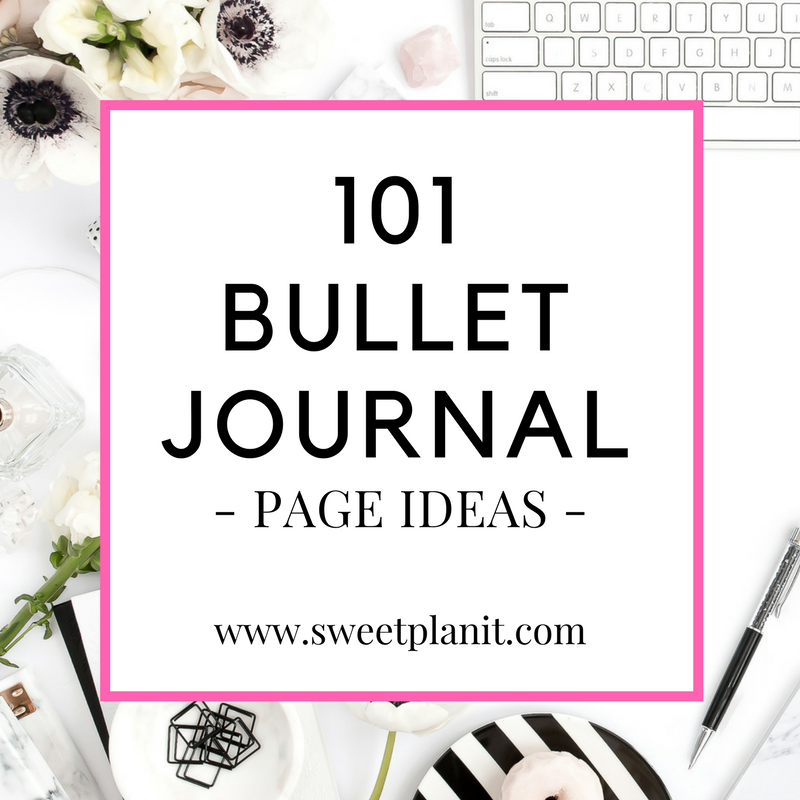 101 page spread ideas to add to your bullet journal! Did I forget anything? Do you track something I didn't list here? Post it in the comments below.